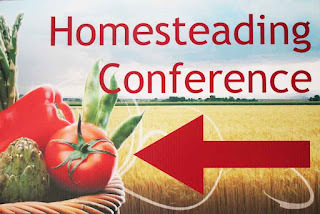 Are you ready for the Homesteading Conference this weekend? 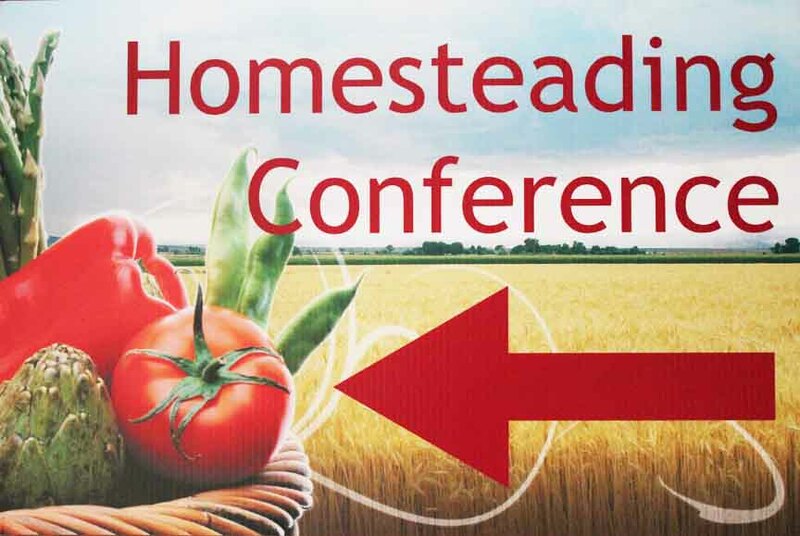 Yes, the conference is Saturday, which is less than three days away! If you haven't registered yet, you can do it online until 5 a.m. Saturday. You can also pay with cash or credit card at the conference. Your conference registration fee includes a continental breakfast, buffet lunch, drinks, and snacks. Since we got such rave reviews for last year's lunch, which was catered by Chipotle, we're doing it again. There will be plenty of options for omnivores, vegetarians, gluten free eaters, and other dietary preferences. If you have questions about their food, visit their website for a full list of non-GMO ingredients. There will be signs, pictured above, starting on Houbolt Road to help you find the conference in T-building. When you walk in the doors, pictured here, you will see the conference center immediately on your left. Need directions to the college? Click here! Need a hotel? Click here! Want to take another look at the schedule and start planning which sessions you want to attend? Click here! 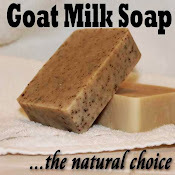 And if you are considering one of our post-conference workshops, there is still space available in both of them, although only three spaces left in the goat workshop. Click here for more info.